Buckle size approximately 3 1/4" x 2". Fits 1 1/2" wide Belts. 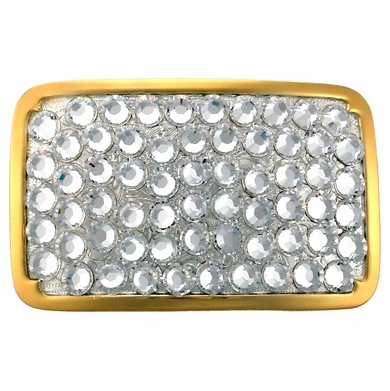 Bright Silver and Gold Plated Belt Buckle Covered with dazzling Clear Crystal Swarovski Rhinestone crystals.